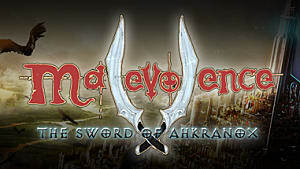 The latest feature to be implemented into Malevolence: The Sword of Ahkranox is the enchantment system. This mechanic allows players to enchant their equipment with all forms of magical properties with the right spell gems. 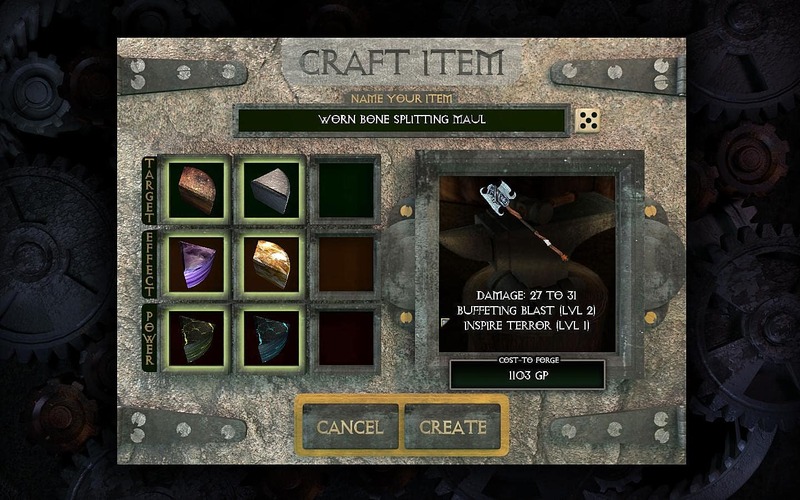 But this can also go wrong if you use incorrect gems, resulting in an item that hinders you more than it helps you. In this guide, I will be showing you how to make the most out of each enchantment, along with how to avoid placing problematic enchantments on your gear. You enter the enchantment system through the Magic Shop found in towns. Once the screen is open you will see 9 empty squares in the middle left of the screen. Here is where you place your spell gems in order to create the enchantments on your weapon or armor. 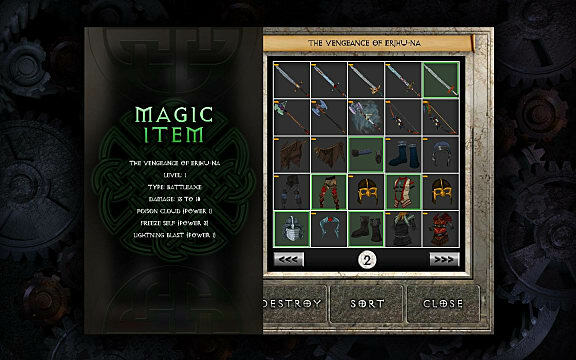 Each item can have up to three enchantments at any one time. What magic effects will be available to you will depend on what spell gems you have at that time. 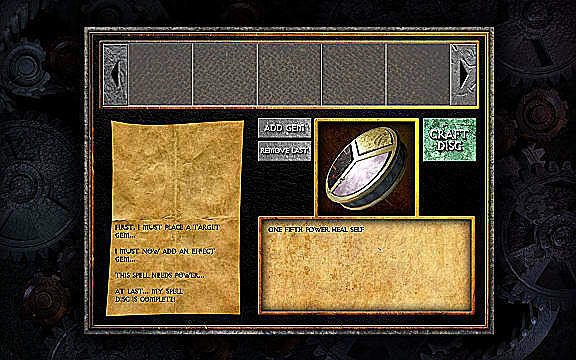 Unlike with spell discs, the size of the spell gems does not matter, and any gem can be placed in an item. The top box is the spell effect. Here is where you place the type of spell you are looking to add -- for example, fire, poison, healing and so on. The middle box will determine the target, whether it will be a projectile, a touch spell, or an effect that affects you. The final box is the overall power of the enchantment, which can range between level 1 and level 3. What level you see here will depend on whether you use a one-third, two-thirds or full power gems. You may also customize the name of your item in the name box at the top of the screen. It isn't necessary to place all three enchantments on an item. You can place just one or two in accordance with how much gold and how many spell gems you have. Note: If you place only one or two enchantments on an item, you will need to permanently remove the current effects in order to enchant the same item again. You do NOT regain the spell gems from the removed enchantments. Having a firm grasp on spell effects is essential to making the most out of your spell gems and each enchantment. Each spell effect works differently depending on how it is cast. If you are careless and not paying attention, it is easy to place an enchantment that will harm you as opposed to the monster you are facing. 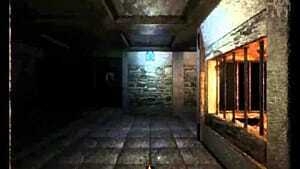 The freeze effect in the picture below is an example of this. There are two aspects that will determine the behavior of a spell. Spell effects (or the "type" of magic a spell uses), and target effects (the range or character your spell will hit). As you can see, the spell effects greatly change in accordance to who or what it is targeting -- not to mention it can also backfire on you if you are not careful. Healing is a particular effect worth watching out for. If you were to combine healing with the blast effect, for example, it will heal you -- but also everything else in its radius. Once you understand how these combinations work, you should be ready to start enchanting your equipment and creating power combos with your weapon and armor pieces. 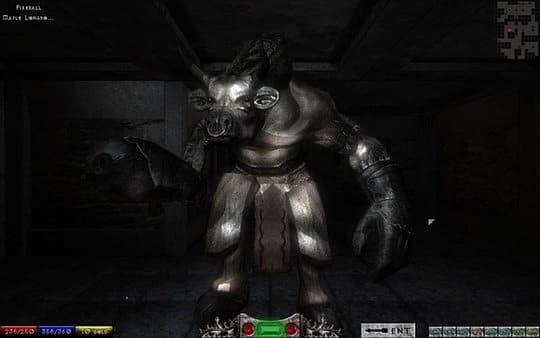 If you are having difficulty obtaining spell gems, be sure to check out our magic system guide for Malevolence for extra help with that. . Note: Once an item is enchanted it will be locked to your character's level at that time. As you continue to level up, the enchantments will become weaker due to monsters levels scaling with yours. Be sure to enchant new and more powerful items regularly. So you have a whole bunch of shiny new enchanted items, but you may be wondering how you can activate them. Spell effects on items cannot be manually activated, but instead have a chance of activating upon impact. For weapons, each time you hit an enemy there is a chance the enchantments will take effect. For armor, there is a chance they will activate each time you are hit. The more pieces of enchanted armor you are wearing, the more enchantments that have the possibility of activating with each strike dealt. Often I have had two enchanted armor pieces activating at the same time, resulting in some pretty spectacular combos against enemies. While the exact chances of the enchantments activating are unknown, they are not that low. With experimentation, I have estimated it to being approximately 1 out of every 3 to 4 hits that an item's enchantment kicks in. So it's frequent enough to be helpful without being overkill. Go Forth and Craft New Items of Power, Chosen One! And there you have it. If you have followed this guide, you will be blasting monsters with your enchantments just like a Guardian of Ahkranox should be. We wish you the best of luck in the lands of Ahkranox -- and may the sword watch over you, Chosen.